Hessonite gemstone (also known as Gomed) is the variety of grossularite grossular garnet, which is basically the member of garnet species that is mainly constituted of calcium-aluminum silicate. 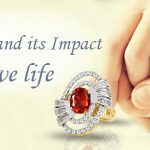 The red color is confirmed to be the most suitable or ideal color for hessonite or garnet stone, however, the garnet stone is also spotted in different colors besides red, honey color or brown color hessonite stones (gomed) are also brilliant color stones. This stone is also referred to be “cinnamon stone” or the “Kaneel stone”. The other grossularite species stones are green grossularite and chromium-rich Tsavorite and rare leuco or colorless garnet. The name of hessonite stone is originated from the Greek word “Hesson” that means “inferior”. This stone has been conferred this name due to the fact that this stone occupies the last rank in grossularite stone on physical and other parameters. As per astrology, the garnet is regarded to be the birthstone of month January and is also recognized as the birthstone for Rahu planet. It is suggested that wearing this honey-color stone will ensure to bring favorable results in the lives of its wearer. To secure all the benevolent or positive results from wearing hessonite stone, a person should consider the quality of the stone. Additionally, a person should also take care of the stone on a regular basis to preserve stone from draining its enriched properties. To clean a hessonite or garnet gem uses a soft brush with soft bristles so that it does not cause any harm to stone healing properties. To clean your gemstone hessonite to dispel impurities from the stone plunge stone in warm water and scrub it with a few drops of detergent water. One can also use regular glass cleaner to simply disperse oil and dirt away from the stone. In order to do so, a person can use a soft cotton cloth and wipe out stone smoothly. Using a regular glass cleaner will increase the shine and luster of the stone. To cleanse the gemstone and to boost the shine of the stone. It can be cleared with an ammonia solution. However, while experimenting with ammonia keep in mind that do not use ammonia in large quantity because it can harm the quality of the stone. Although, hessonite stone is a tough gemstone, yet, in comparison to other stone like blue sapphire and yellow sapphire. The durability of the stone is low. Therefore, it is suggested that while performing physical activities remove hessonite stone jewelry items. 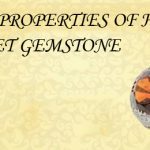 Hessonite stone should be properly stored in a safe location so that it does not get the temper. However, if you want to properly cleanse this stone, you may take your stone to jewelers who can properly cleanse and remove the dirt and other materials from the stones.